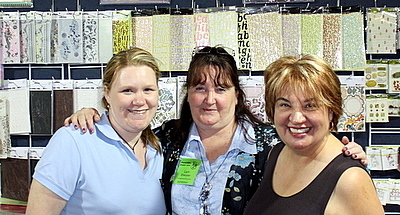 Not long now until all the Fiskars fun begins here in Melbourne at the Craft and Quilt Fair ! You can park underneath if you get there early enough!! Our FISKARS CRAFT STUDIO will be a hive of activity the 4 days of this Fair....so make sure you pop on in and have a play with the FABULOUS FISKARS TEAM! 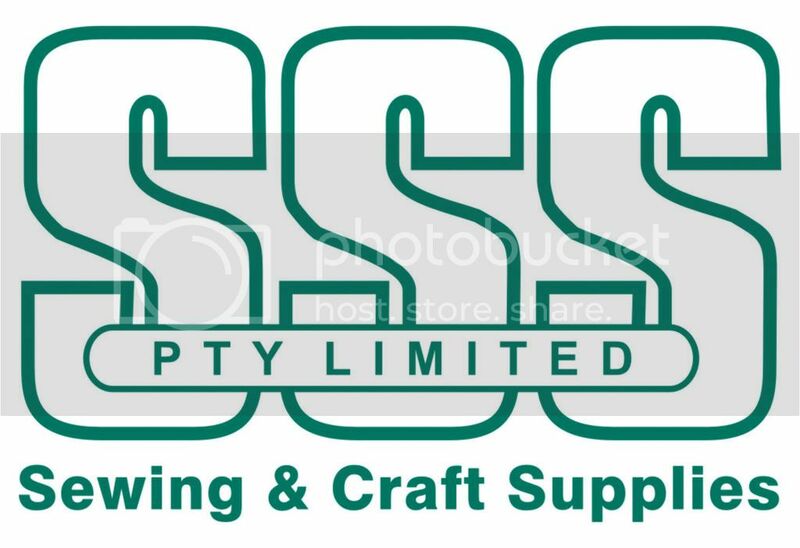 We shall also be selling some product at super special prices from our Stand so if it's a bargain you are after.....then pop on in.......a great opportunity to get some Kits,embellishments and tools at RED HOT PRICES!! Come and meet our TEAM ....we'd love to help you on your crafting journey!! Mark down FISKARS CRAFT STUDIO as a must see STAND! On Saturday evening the fair is open late ‘til 8pm for visitors to enjoy some relaxed evening shopping, workshopping and see the displays. To see the Saturday night program of workshops and classes, click here. Make a Purple Scarf and Win! Saturday evening is ‘Wear Your Handmade Scarf’ night. Come to the fair wearing a scarf (or shawl, wrap or cape) you have made yourself, and you could win a prize pack of craft goodies! The predominant colour of your creation should be PURPLE... like the Craft & Quilt Fair logo! To take part in the competition, register at the fair Gift Shop after 5pm on Saturday. Wear your entrant number while you enjoy the evening fair activities – our judges will be out and about looking for your unique style and creativity. So think fun, fabulous and funky and get stitching, stamping, printing, dyeing, knitting or beading today! Exhibitors will also join the fun and wear their own special creations! I'm checking in from PERTH airport on my way home from 3 holidays and just wanted to share some exciting news with you all about the FISKARS CRAFT STUDIO in Melbourne next week at the Craft and Quilt Fair. If you drop by the Fiskars Craft Studio from July 23rd-26th between 9am-5pm.....8pm Saturday you will be able to grab yourself some real HOT BARGAINS.........YES........we'll not only have our Quilting demos and Papercraft Make'n'takes.....we shall also be selling some Consumables and some Tools(mainly quilting....and a few other specials.......).......so make sure you drop by.......the Fiskars Craft Studio!! We shall also have some Kids/Beginners Workshops from 1-2pm daily..........so make sure you come and see us at the Fisakrs Craft Studio when you first arrive each day.........lots happening!! One of our very talented Aussie Ambassadors is celebrating her birthday today!......and she thought we forgot........LOL! I love a good challenge nothing gets me more motivated. I have no excuse now that the weather has cooled down slightly here in Melbourne and i have at least one child back at school..
3 Photos, Ink, Ribbon, Chipboard and a Circle.. I have used the HEIDI GRACE URBAN ACRES RANGE..
A closer view of my circle cut out using THE ULTRA SHAPE EXPRESS and the CIRCLE TEMPLATE. Cut out 10 x 1" size circles using my Ultra shape express and Circle template. If you dont have these you can use the 1' squeeze punch. I then turned my photo onto the back and glued the circles down slightly over lapping..
Then adhere to your page..
Hope you find some Inspiration from our daily Prompts. I can't believe that my little Boy starts school this Thursday. It seems like only yesterday he was born.. I know many of you out there remember when Harrison was born. He is only 7 days old. First time sleeping in his own little cradle and oh oh saw jaundice.. This BABY range by the ever so talented HEIDI GRACE is just delightful.. Spectrum Alphabets also by Heidi Grace. Good luck to all the other Mummys and Daddys taking there little ones to School and Kinder for the first time.. Here is a recent layout I completed using the Cloud 9 Christmas pack. This pack is such great value and you get so much out of it.. I have also used the Fiskars Chrstmas stamp in the corner.. Then added the little red berries..he!he! It is never too late to get your Christmas pages started.. I have only just begun doing mine..
Hope everyone is surviving the school holidays.. I recently received this pic from Karen.....Fiskateer #2858 ...an American Fiskateer who was in Australia for both business and a holiday during late October. Karen contacted me via the Fiskateers to see if we could meet up at PAPERIFIC in Melbourne seeing both Sarah Mulder #1105 and myself # 1110 were going to be working there! Karen and her hubby were an absolute delight to meet......here we are posing for KAREN'S HUBBY......poor thing we had to get him to do about 10 takes.......LOL! So darn funny.....but anyway.......Sarah, Karen and I (Lyn) are standing in front of the Scrapbook City Stand at PAPERIFIC! I still can't get over the fact that KAREN and her hubby have 7 sons between them..........and I thought I was good having 4 sons.....ROTFL! Karen was in Melbourne for a medical conference and she snuck out to meet up with us for a few hours.....LOL! She is a highly qualified medical professional......yes.....a doctor that is highly respected and she was delivering a speech at a Medical Conference! I just love how the Fiskateer Community brings crafters from all over the world together via it's on-line highway........it's such a fun place to hang out.....if you would like to join the FISKATEERS just click on the blinkie on the lefthand sidebar and it will take you there....it's free....it's fun...and it's FISKARS! If you LOVE this range as mush as I do then head to your local Spotlight and pick some up. I am off there today to get some more papers. i am inspired!!!! I try and do this one a week. Total Bliss and me time. 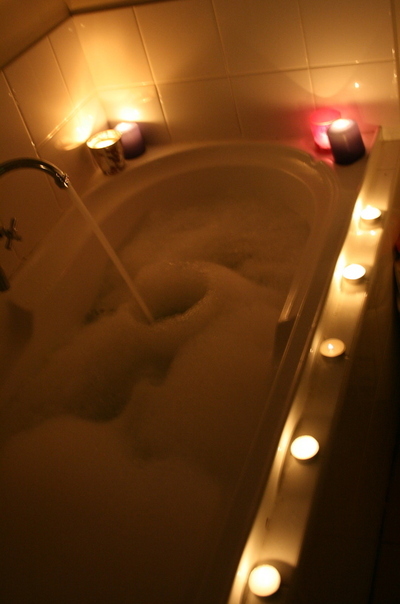 It rejuvenates, relaxes and completely takes me to another place if only for 30minutes or an hour. I know being on water restrictions is hard but i do recycle, i usually just add more water after the kids have finished..I also use the bath water every night on the garden..
Take the time to Spoil you.. You deserve it!!!! A big hello to all the lovely ladies and gents who have stopped by the last twos day and had a play.. Wowee i have been so busy..
Ok i have no pics but i will take my camera tommorow and get some for you all to share in the excitment of our show is here in Victoria. This venue is fantastic, spacious but today just a little hot.. But when you have over 1000 peole in a venue you can expect that.. Enjoy the rest of the weekend everyone..